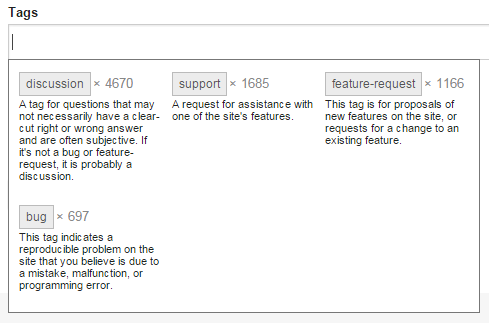 The tags are disappearing in the tag box again, even worse than last time! Out of the last five questions where I edited tags, they have jumped clear to the left three times. I think I've encountered the previous bug once in all my time I've used Stack Overflow. The fact that the new design has popped it up three times already (in the span of 15 minutes) is very concerning and I think this bug warrants more interest in order to be fixed. Also, is it me, or did the tag dropdown thing get way smaller and more compressed? Possibly related? Why are different tags shown on the tab for different questions having more than one tag?